This post is in collaboration with Simply Earth. I only ever feature products that I use and love, and all opinions and content are my own. Thank you for supporting the brands that support this blog! 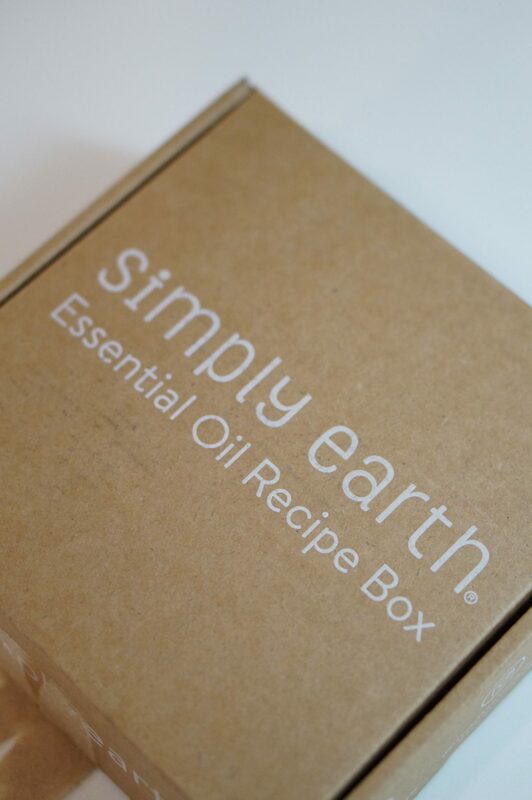 Use code RLFREE to receive a $20 Simply Earth gift card in your box! . 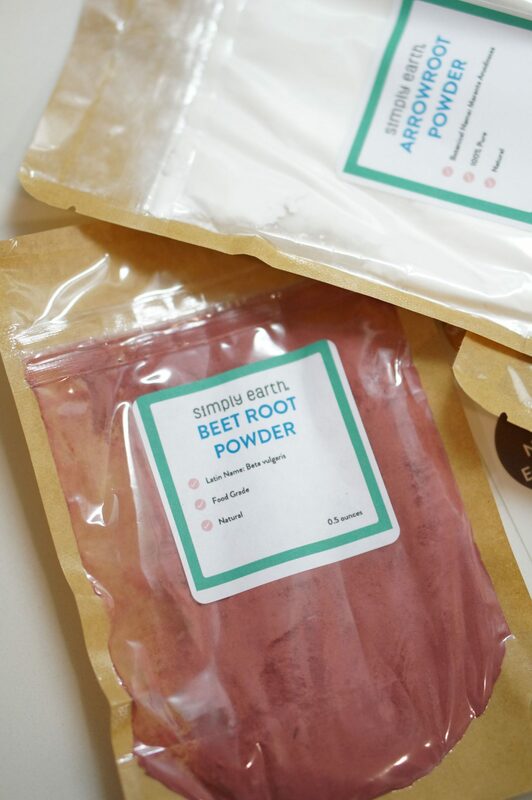 I have been so, so excited to share the Simply Earth February 2019 box with you! This box was a ton of fun to try out, and you’ll see why very quickly. 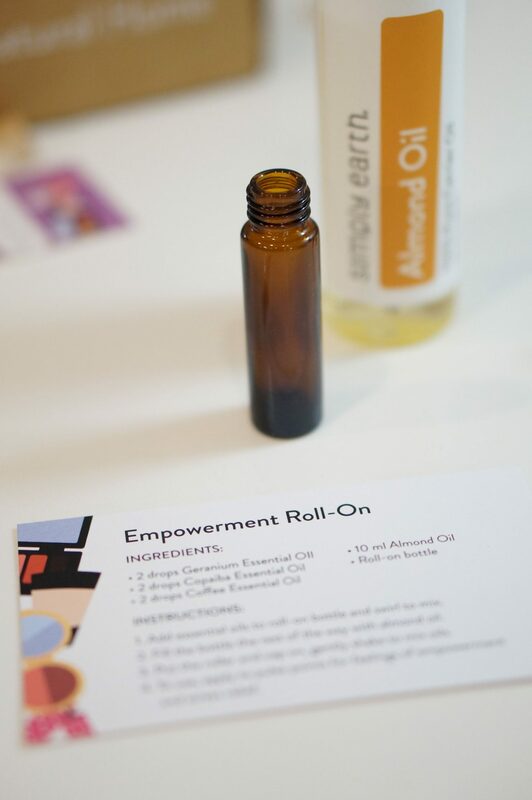 Since February is all about love and Valentine’s day, there are a few self care oils and DIY recipes in this box. I’ve made a few already that were super easy and fun to customize. 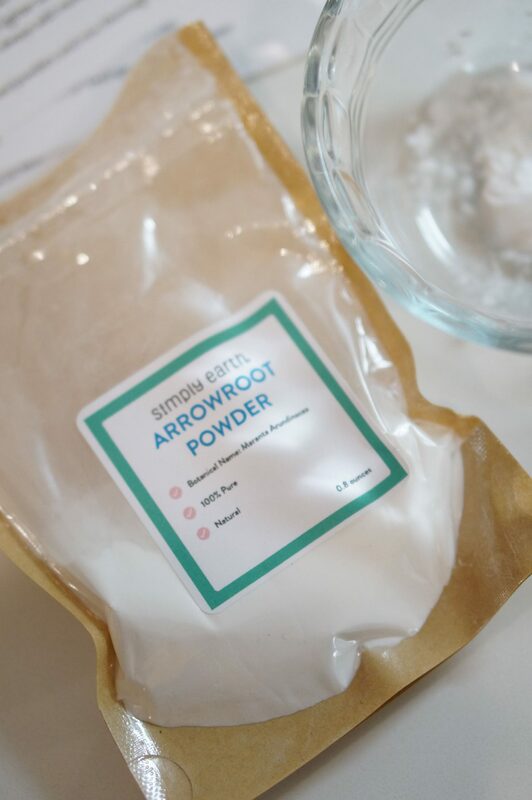 When I opened the box, I had no idea what the powders would be for. 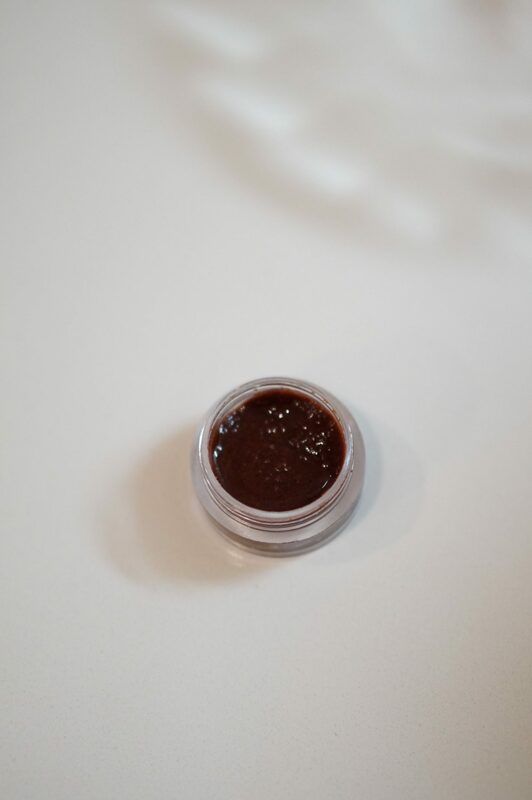 Lo and behold, it’s for making my own makeup! I have always wanted to try making my own natural makeup, but it’s very intimidating. 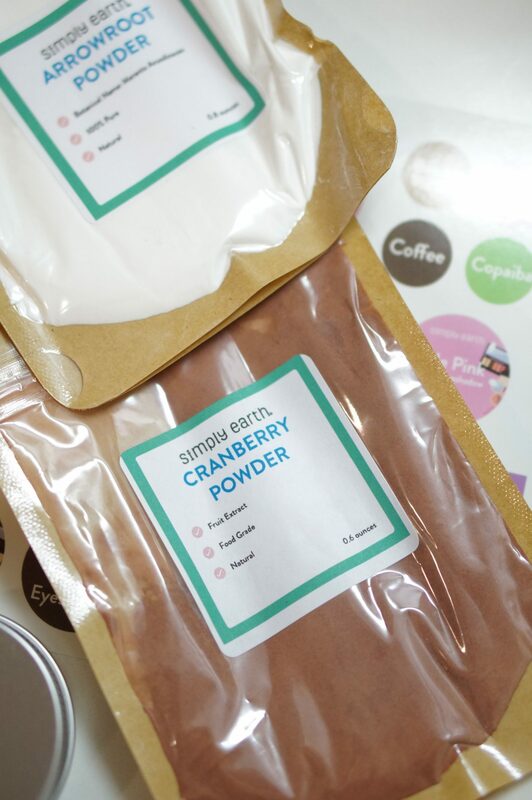 The DIY recipes in this month’s Simply Earth box make it so easy, and I can’t wait to try my hand at more makeup recipes. 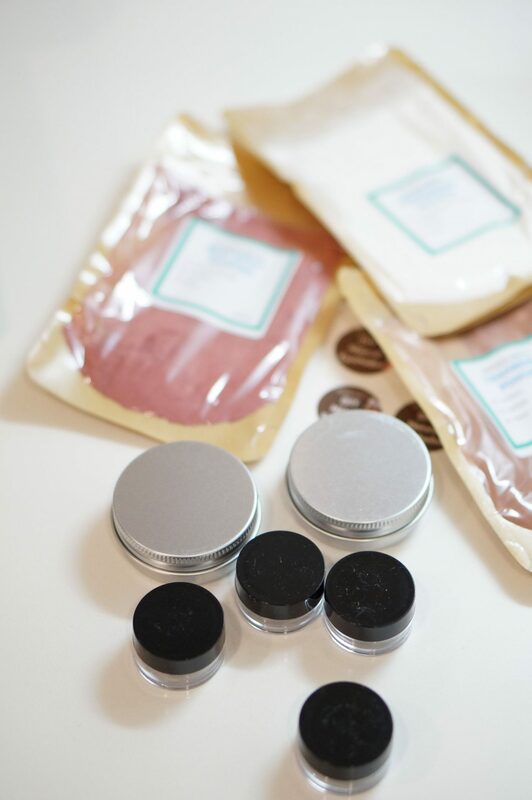 These three powders are mixed in differing quantities for the makeup recipes. 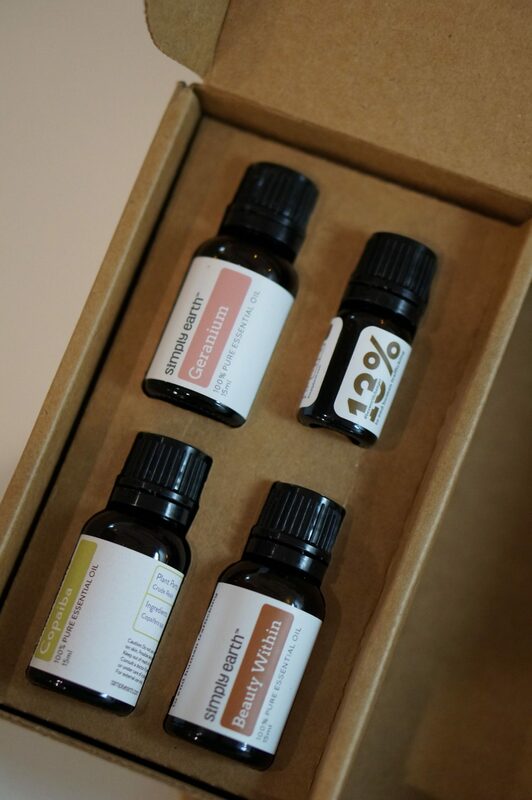 These are the essential oils included in the Simply Earth February 2019 box. We have Beauty Within (which smells amazing), Copaiba, Coffee, and Geranium. 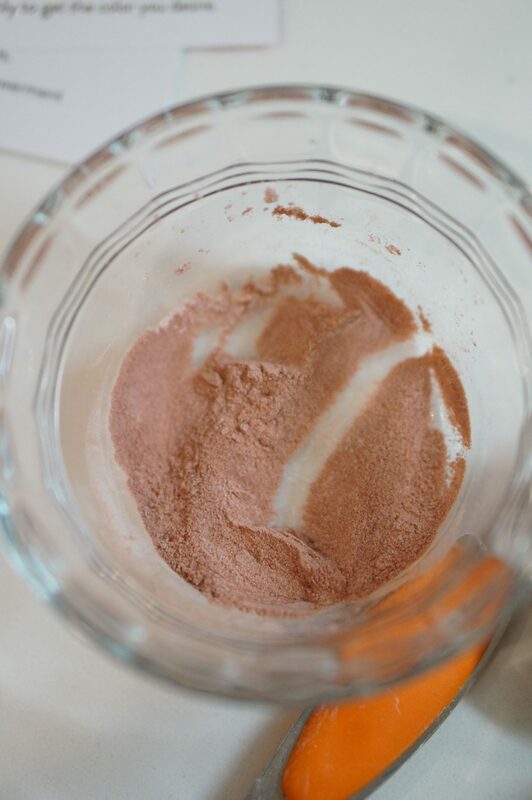 The first recipe I tried my hand at was natural eyeshadow. 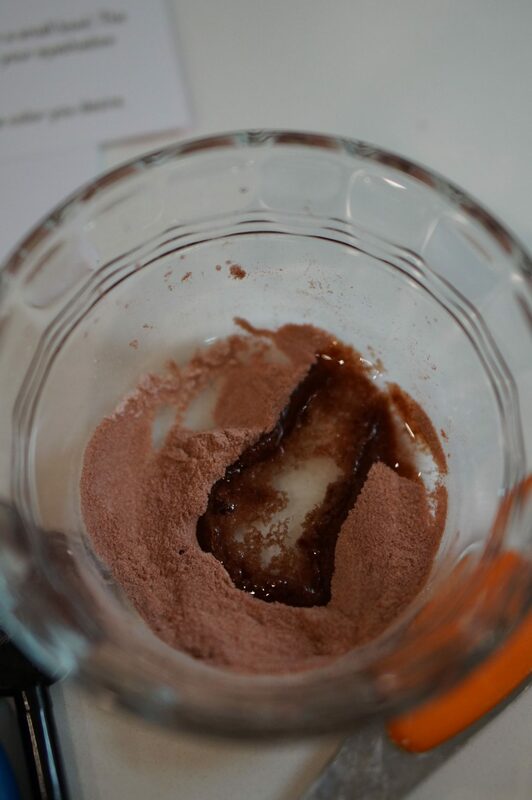 I have to admit, this was a fail for me only because I added too much coconut oil. At the time, I thought it might be too much but wasn’t entirely sure. Well, next time I will definitely add less, because my eyeshadow was more creamy than crumbly. 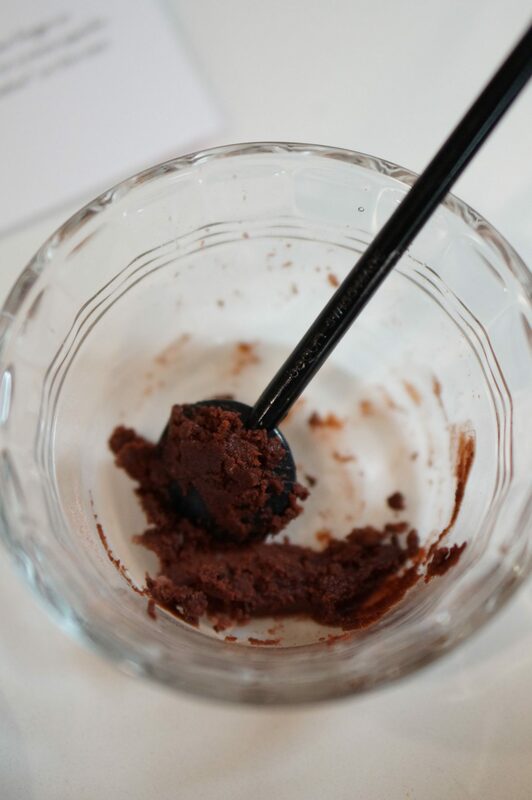 The texture needs to be crumbly when you’re mixing in the coconut oil. 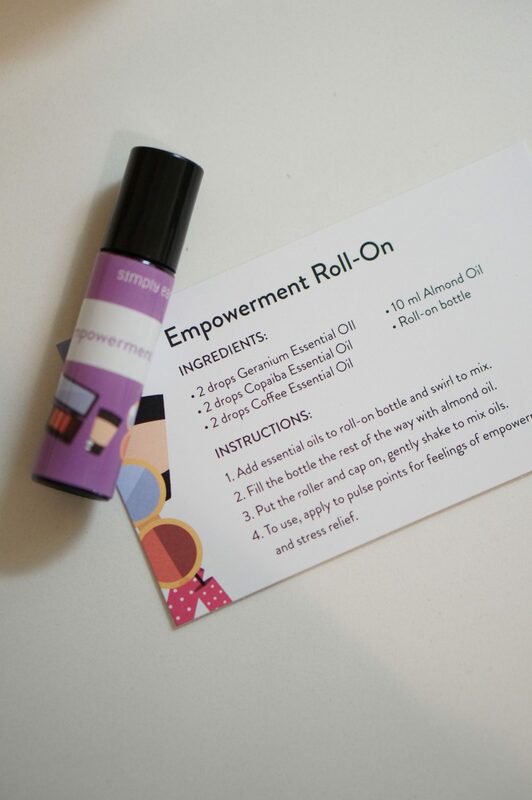 The next recipe that I tried is an Empowerment Roll On. This supports stress relief, which is something we all need from time to time. The scents mixed together smell so good and calming. 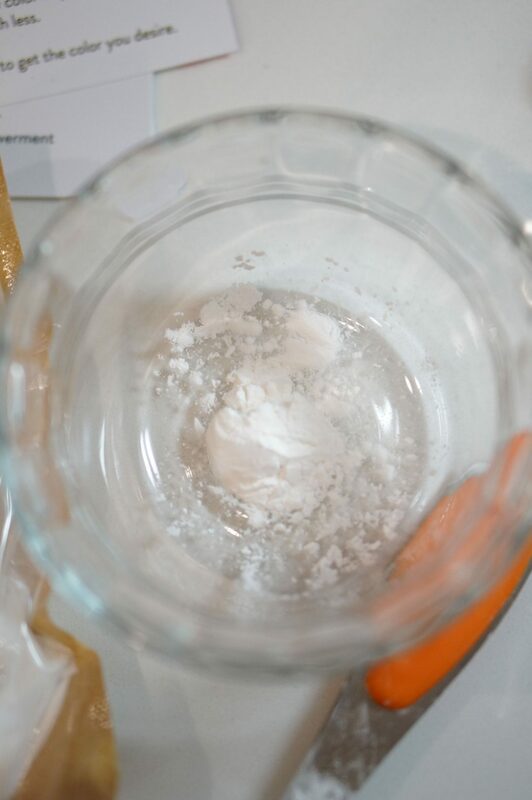 The last recipe that I’ve tried (for now!) is the Good Morning Beautiful Diffuser Blend. I’ve been diffusing this in the morning as I work out, and it’s a lovely way to start the day. I love Simply Earth’s Beauty Within essential oil blend. 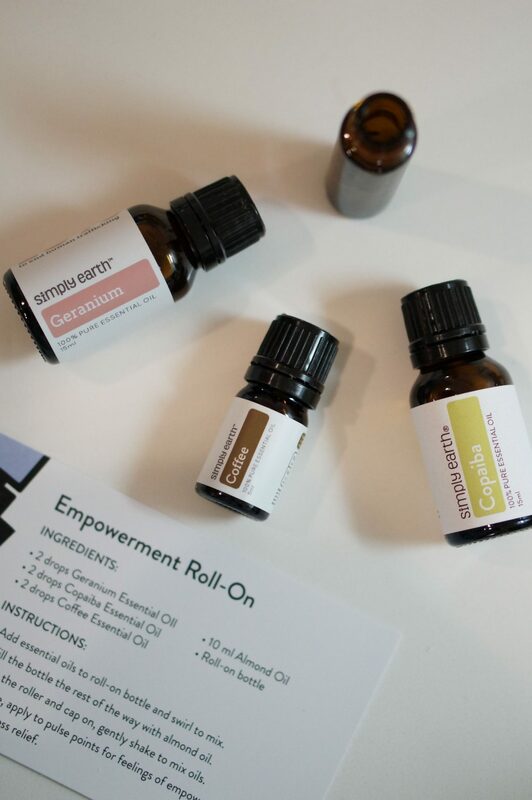 It contains a few of my favorite oils, including lavender, and together they are calming and uplifting. 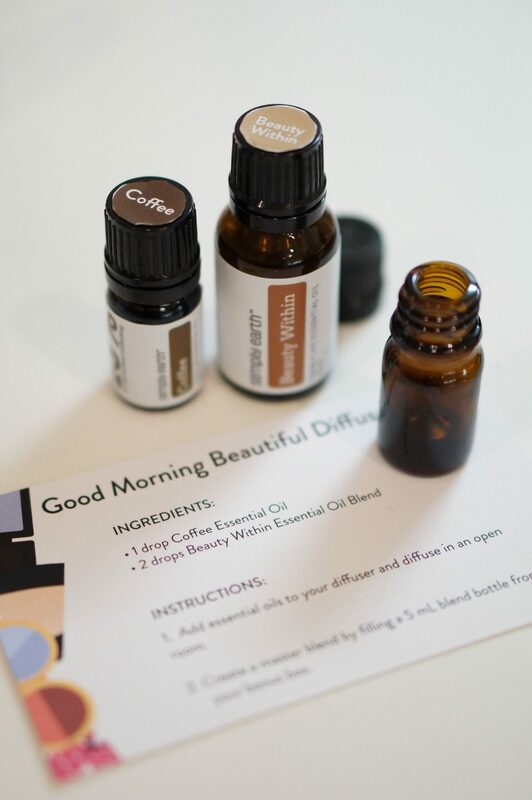 This Good Morning Beautiful Diffuser Blend is perfect for the morning, but I’ve also been diffusing the Beauty Within blend by itself at night to unwind. I hope you enjoyed this peek into the Simply Earth February 2019 box. 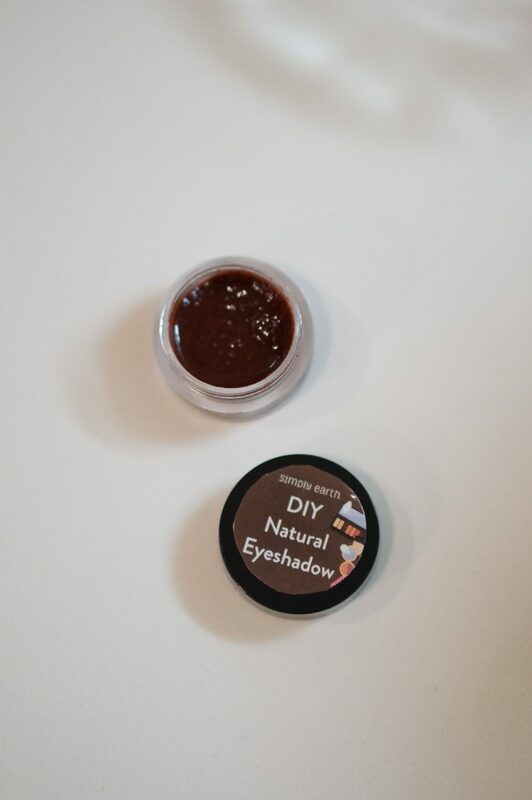 It was so much fun to try my hand at natural cosmetics. 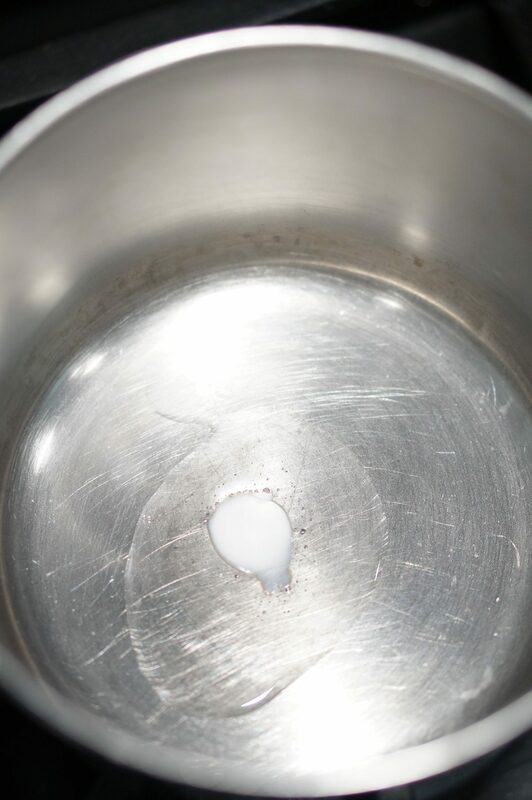 The other recipes include a cheek tint, which comes just in time for Valentine’s Day. I’ll be updating my Simply Earth highlights on Instagram when I whip up that DIY recipe, so make sure to follow me there! 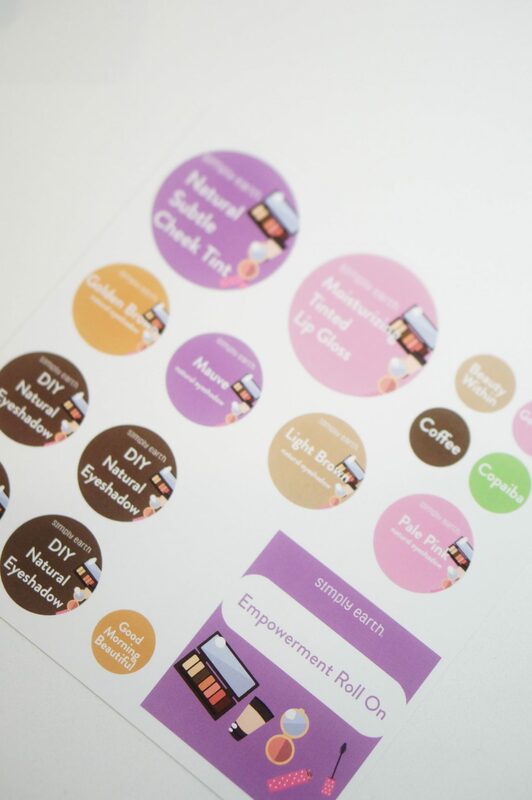 When you order your Simply Earth box, make sure to use my link and code (RLFREE) for the bonus box and $20 gift card!